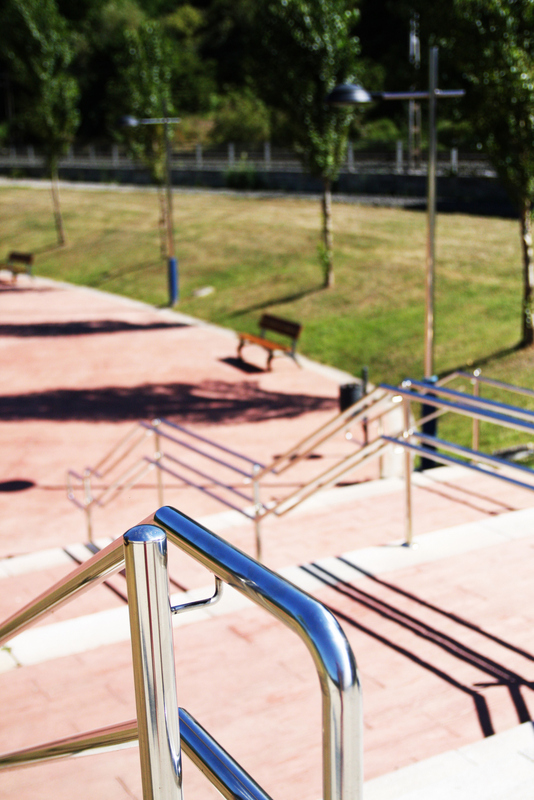 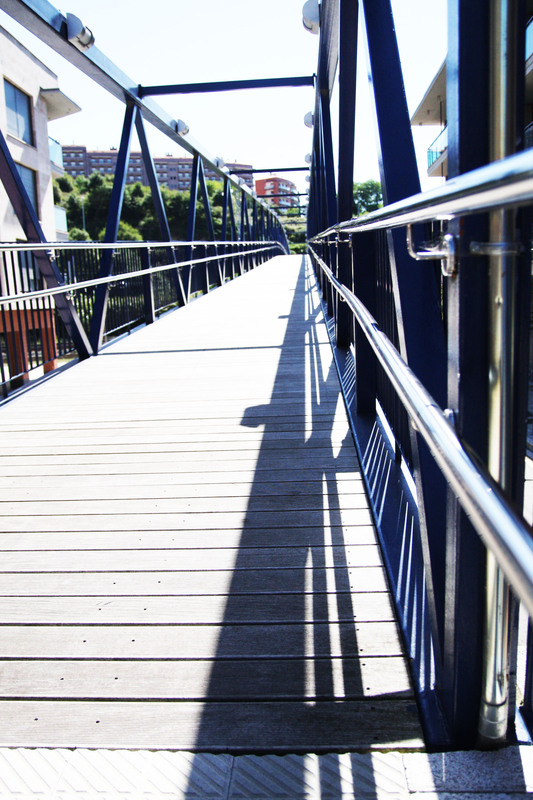 The location is a riverside park which runs parallel to the Nervión river that often floods. 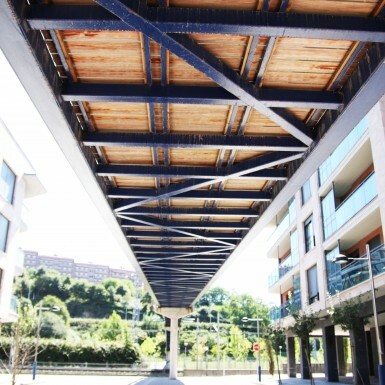 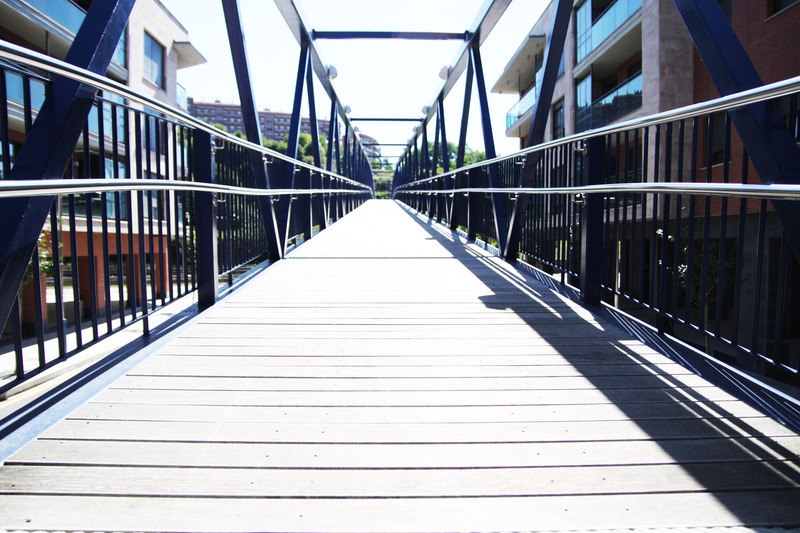 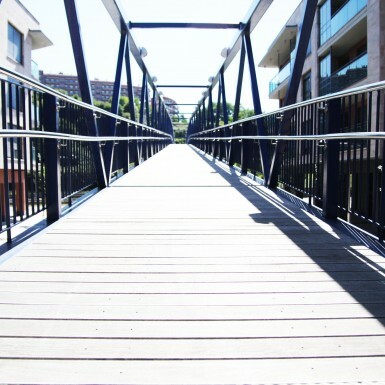 A pedestrian walkway that connects the physical barrier between the neighbourhoods of Bekosolo and Amezola, which are separated by the railway ET / FV Bilbao-Donostia. 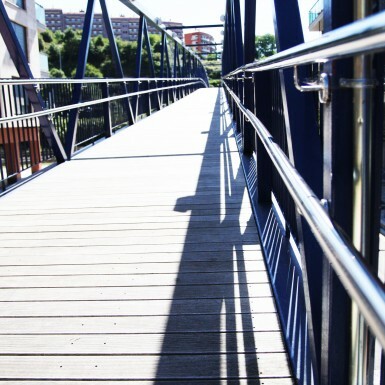 This pedestrian walkway is linear and continuous design, simulating a pedestrian route and consists of three spandrels, supported by two abutments and two pillars of reinforced concrete. 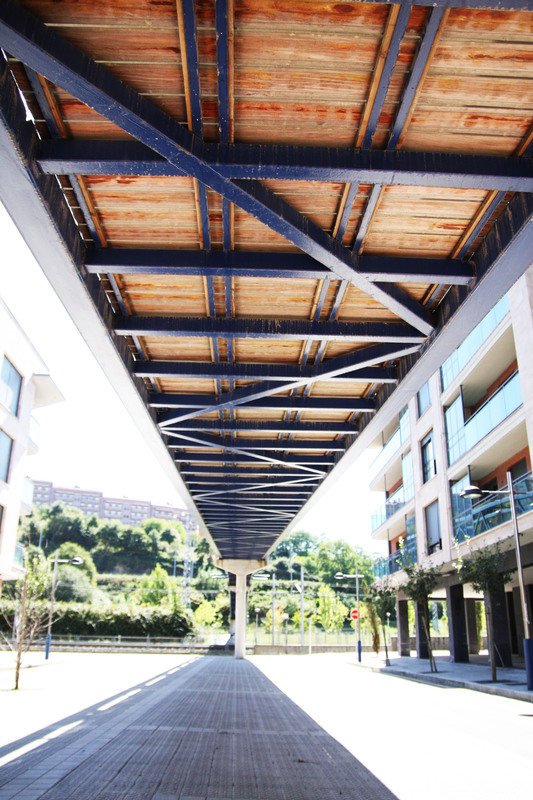 The lintel beam is formed by a steel U-shaped tridimensional lattice and the floor finish is made of wood.